"I wonder who I take after"
It's unbelievable that I've just cried for nearly 1 and a half hours through the movie with the other 10 minutes being the building of the storyline. That's right, although I've missed the screening with Nuffnang for The Impossible on the 16th of January because I had wanted to watch The Last Stand at TGV, 1Utama, I had resolved to watching it on other *coughs* means. Whatever it is, I still got to watch it in the end, right? The Impossible; a movie directed by Juan Antonia Bayona is made based on the true story of a Spanish family's account of survival in the devastating tsunami that has hit the Southeast Asia in year 2004. It features Naomi Watts as Maria Bennett and Ewan McGregor as Henry Bennett along with a break out role for Tom Holland who portrays Lucas Bennett. Bear it mind that this has been a true story, so pull out your tissues and just be prepared to cry for the pain you feel on behalf of those who had lost their families. Maria Bennett (Naomi Watts) and Lucas Bennett (Tom Holland) clinging on to dear life in a scene shown in The Impossible. Naomi Watts really gives an amazing performance in The Impossible as Maria Bennett and there was so much physical pain on her expressions that you could just about feel it on your own body too. Her expressions were raw and I really loved the cinematography whereby a close up of her blue eyes was just emphasized to show you how much she must have had to endure. Ewan McGregor does a very good Henry Bennett; the father of 3 sons and a loving husband but his role was simply mediocre compared to that of Lucas Bennett as played by the newcomer, Tom Holland. Like Watts, his expressions from the moment he has found his mother, to thinking he has lost her and finally being reunited with her was simply amazing! It made you believe that he had truly had so much to live with and that was not exactly an easy job. Other notable acts are by both Samuel Joslin who plays Thomas and Oaklee Pendergast as Simon respectively. Oh and Johan Sundberg as Daniel was pretty cute too! 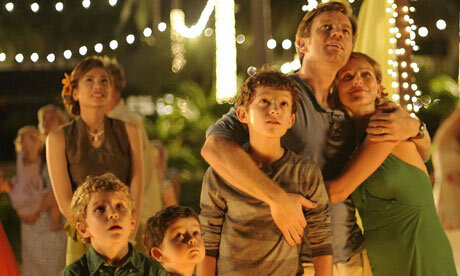 Samuel Joslin, Oaklee Pendergast, Tom Holland, Ewan McGregor and Naomi Watts in a scene from The Impossible. If you ask me whether or not you should be watching this, I'll tell you for sure that you should. It's hitting a 9/10 on my personal scale with a bit of careful looking because there's some things that I could see with several loops. Then again, no movie is perfect right? Read the real account of what had happened so many years back and yet is still fresh in the memories of this Spanish family that the movie is based on right here. It'll send extra chills to your spine. Extra brownie points goes to Juan Antonia Bayona for not changing any of the storyline throughout what has happened. I hate it when they do that. 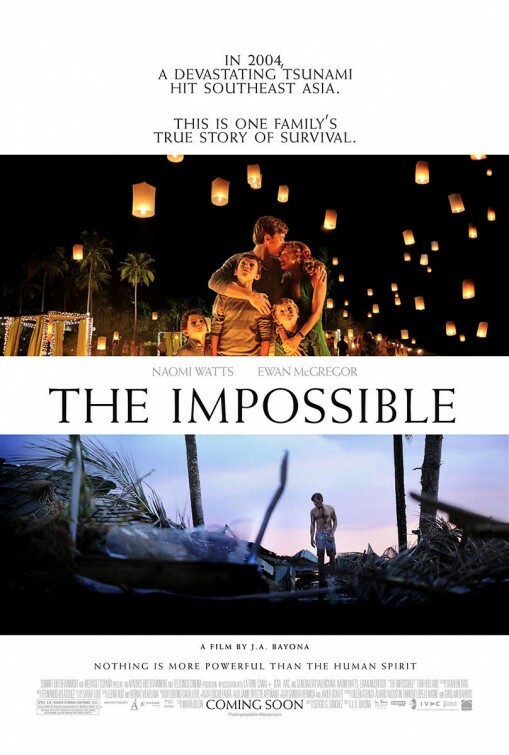 Now everybody please go get packs of tissues and watch The Impossible! EVERYONE!